I was about 13 or 14 and my mom had just finished cooking a dish that you learned how to make from an older lady from Panama. She asked me to try this new dish called Cou-Cou that she just learned how to make. So I came in the kitchen to give it a try. However, when I looked inside the bowl, with what looked like green mush topped with some red sauce with chunks of fish inside, I was like, "Mom you must be crazy if you think that I am going to eat that." Of course, I left the "must be crazy" part to myself. Being that this was the only offering for dinner that night I had to settle for an All-American sandwich with Lays potato chips. Fast forward a couple of years later, mom prepares the same dish again. It was still green. It was still mushy. It still had red fish stuff on top. But this time after a little coaxing from my mom and dad I decided to give it a try. To my surprise it was not that bad. Actually, it was pretty good. So good that I started inquiring about the ingredients. The green mush stuff is made from Okra and cornmeal. The red stuff is made from cod fish and a tomato based concoction. 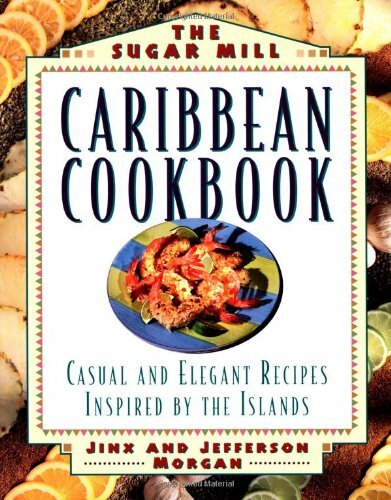 Cou-Cou or coo-coo is the national dish of many countries in the Caribbean including Barbados, Antigua, and the US Virgin Islands. It is also known as fungi in other parts of the Caribbean. Since the main ingredients okra and cornmeal are very inexpensive, the dish became common among the people in Barbados. 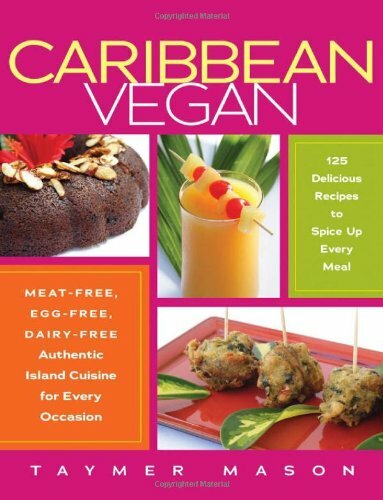 The dish has deep African roots and was a regular meal for slaves who were brought to the islands of the Caribbean, particularly in Barbados. 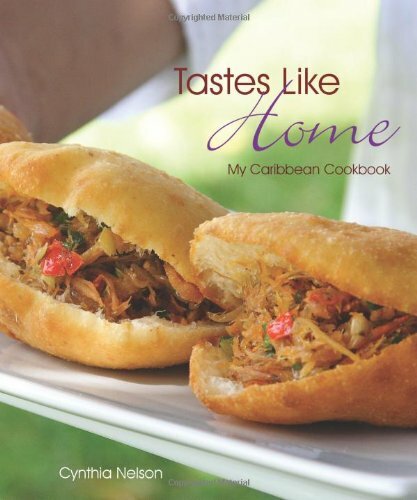 How Did A West Indian Dish Make It To Panama? During the building of the Panama Canal many people from the Caribbean or otherwise known as the West Indies made there way to the Isthmus of Panama to work on the canal. Most of the people that migrated from the West Indies came from Barbados, Jamaica, Trinidad, and Martinique. When I visited Barbados a couple years back one of the residents said, "We built the canal". I chuckled a bit because he said it with so much pride. But he is definitely is right. West Indians played a huge role in the building of the canal and often referred to as "The Ditch Diggers". Of course the West Indian people who came to Panama brought their culture with them including their "Jamaican" accents, music, dress, food, and overall way of life. It is very common in Panama to hear people talking Spanish with a Caribbean accent with a dash of English. It can come as a shock to some people at first, but I was blessed to experience this phenomenon a lot growing up. Believe me it is a lot of fun listening to Panamanians of West Indian descent tell stories in Caribbean Spanglish. After I finally took the dive and tried out the green stuff that I absolutely despised years earlier, I found myself craving the dish. When family friends would make a batch of cou-cou I would be one of the first in line to get a plate. I would also be the one asking to take a bowl home as well. I even started to request the dish from mom hoping that she would prepare the dish. But for some reason my mom did not want to prepare the dish anymore. At this point, I am like my mom got me addicted to this stuff and now she doesn't want no parts in making it anymore. She told me that it takes too much effort to prepare and that it is too much work. If you look at the video below, you will see that you need to, literally, be in shape to prepare the dish. Of course there are couple variations of making the dish. The main differences in how cou-cou is prepared is the way that the okra is mixed in with the cornmeal and what type of fish or meat that is used in the stew or sauce. The common fish used to make cou-cou is flying fish but other types of fish can be used like salt fish, cod fish, or salmon. The fish can be fried or steamed. You can also use beef or chicken in the stew or sauce. In addition to that, there is even vegan version that is made with tofish. However, we will focus on making the traditional dish using the flying fish stew otherwise known as the gravy or sauce. The cou-cou recipe below should feed between 4 to 8 people. For Cou-Cou: Soak the cornmeal in cold water in your mixing bowl for about 5 minutes. Next you want to boil water with salt in your large pot. Then add in your okras, onions, and garlic. Bring to a boil. Reduce the heat and let simmer for about 10 minutes. Then you want to pour off the okras along with garlic and onions from the large pot into the regular pot. Next you want to add the cornmeal in cold water into the large pot on a low flame continuously stirring with the cou-cou stick or wooden spoon. Then start to add the liquid from your okra mix from the regular pot into large pot in parts. Continue to stir and allow to steam until cornmeal is totally cooked. Then add the rest of your okra mix along with the butter into cornmeal. Make sure that you mix well. Marinate the fish in the salt and lime juice for 10 minutes. Then rinse the fish and pat dry with paper towels. Next rub in the Bajan seasoning or Green seasoning and let marinate for about an hour. Then you want to roll each fish into sausage shape, starting with the tail. Keep in mind that this can be done before you even start the cou-cou prep. As a matter of fact, prepare your fish (the marinating and rolling process) before you start with the cou-cou. In the saucepan you want to heat up the margarine and start the saute the onions and garlic until the onions become transparent. Then add your tomato and parsley and continue to cook for about 2 minutes. Next add the thyme and marjoram together along with the rest of the ingredients into the saucepan. Place your rolled fish on the mixture in the pan, reduce heat, cover, and let simmer for about 10 minutes until the fish is cooked. At this point you are ready to serve. Watch the video below to understand how the cou-cou should be served. Learn how to ball the cou-cou. In the video below a lady prepares cou-cou using pink salmon from the can. It is definitely an easier alternative to cou-cou with flying fish. There are other links to cou-cou recipes for vegans in the signature panel in the upper-right corner of the screen. Please share your thought on cou-cou in the comments section below. - Have you ever tried cou-cou? What was your experience? - Have you ever cooked cou-cou? How did it turn out? Also learn about 5 Panamanian food specialties that you should try when you visit Panama in the article below. I think you have the ONLY recipe on IB that includes FLYING FISH as an ingredient!! Amazing piece, good back-story (both the personal part AND the cultural history). I have done my best over several decades to encourage people to try different foods, especially those that are native to another culture. And your mother would not have had to ask ME more than once to try this--it looks fantastic. GREAT article, and a thumb's up, and a +1 (I hope a lot of people expand their horizons by trying this). And this is a much-deserved front-pager! Really Vic??? You think it looks fantastic lol....I still think that it does not look edible, but I know that it tastes good. And I agree that people should try different foods....I LOVE Indian food....A lot of Indian food is very spicy but good nonetheless. Thanks for the kind words and appreciate you taking the time to comment. I actually DO think it looks good! I like sloppy thinks like that because invariably they provide pleasant surprises (as you noted).